I have always loved the library. Who doesn't like shelves and shelves of free books?! I've had a hard time finding the new books I really want to read here at the library in Scotland. It's been rubbish! I have gotten them to purchase some of my choices though which is so nice! But, I do love checking out what the library's got. There are so many books to choose from! Summary: Hidden in the heart of the old city of Barcelona is the 'Cemetery of Forgotten Books', a labyrinthine library of obscure and forgotten titles. To this library, a man brings his ten year old son, Daniel, one cold morning in 1945. 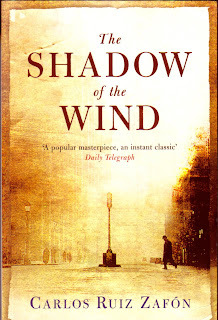 Daniel is allowed to choose one book and from the dusty shelves pulls The Shadow of the Wind by Julian Carax. But as Daniel grows up, several people seem inordinately interested in his find. What begins as a case of literary curiosity turns into a race to find out the truth behind the life and death of Julian Carax and to save those he left behind. 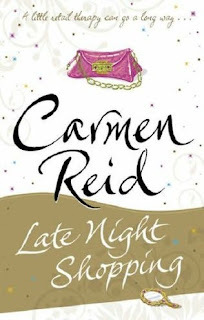 Summary: Uber-busy Annie Valentine - mum to two demanding children and personal shopper in a swanky London fashion store - is now intent on setting up a shoe and handbag empire of her own, and she'll do anything to get there. But what about her adorable new man? As someone who wants nothing more than a quiet life, Ed is shocked to discover Annie staking their home on her success, and now their relationship is on the line. Is Annie's surprise remedy - an extravagant friends and family holiday to Italy - really what they all need? Especially when a dashing Italian businessman promises to fulfill Annie's every dream. Summary: In a world shaped by the scattered remains of a giant civilisation live communities of six-inch tall human beings. 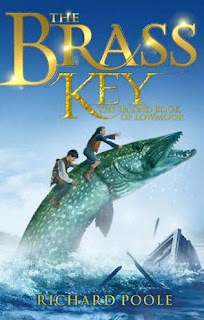 Blackmailed by the sinister Spetch twins, Jewel and Thorn must journey across land and water to retrieve the mysterious brass key. Until they find it and return it to the Spetches, Thorn's sister Haw is at the cruel mercy of the twins. Thorn finds uses for the strange objects given to him by the Norgreen Syb and Jewel's strength as a Magian grows when she comes across a crystal similar to the one stolen and hidden away by Thorn. It has a strange, dark power - but is there danger in its strength? Encountering unexpected, malevolent forces along the way, but also making new friends, Jewel and Thorn discover a new and even more dangerous opponent lurking in the shadows behind those they already know. 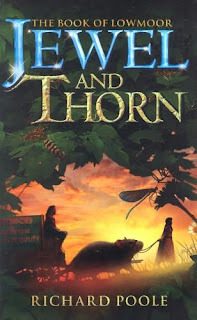 Jewel and Thorn looks like it will be a good fantasy adventure. I love Shadow of the Wind's cover.